Trade prices on paint and painters' hardware and builders' prices on all other hardware lines for SSTUWA members. 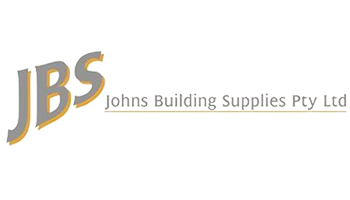 John's Building Supplies stocks an extensive range of building materials and hardware, and they are able to source any items that are not held in stock with competitive pricing. John's Building Supplies offers a reliable delivery service to all metropolitan areas, including metro transport depots for those living outside of Perth. They understand the difficulties country members face in obtaining a reliable and competitive source of building materials and strive to fill the void. My husband and I moved into our new home over the Christmas break and were faced with the mammoth task of painting all the internal walls - a job we believed would not only be time consuming but also expensive. When checking the union's member benefits, we came across John's Building Supplies, who offers members trade prices on paint. Armed with many paint chips we headed over there to buy up. On arrival we were offered superb, professional and friendly service. The staff were willing to listen and offer their expert advice to ensure we made the right choices, and we believe the money we saved on paint has paid for part of our union fees. We were so impressed with the service, price and paint quality that we headed back again over the Easter break to buy more paint for our outdoor area. Again, the staff were very helpful and took the time to understand our needs. We would have no problems recommending John's Building Supplies to fellow union members.